Anthony McGill is one of classical music’s most recognizable and brilliantly multifaceted figures. 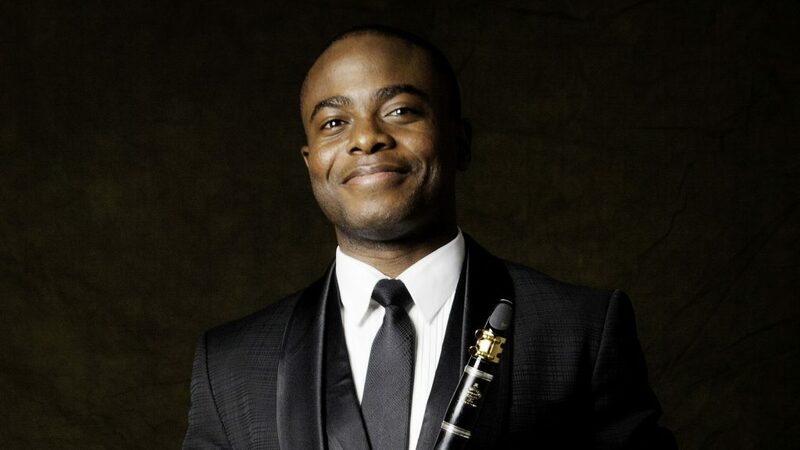 He serves as the principal clarinet of the New York Philharmonic, that orchestra’s first African American principal player, and maintains a dynamic international solo and chamber music career. 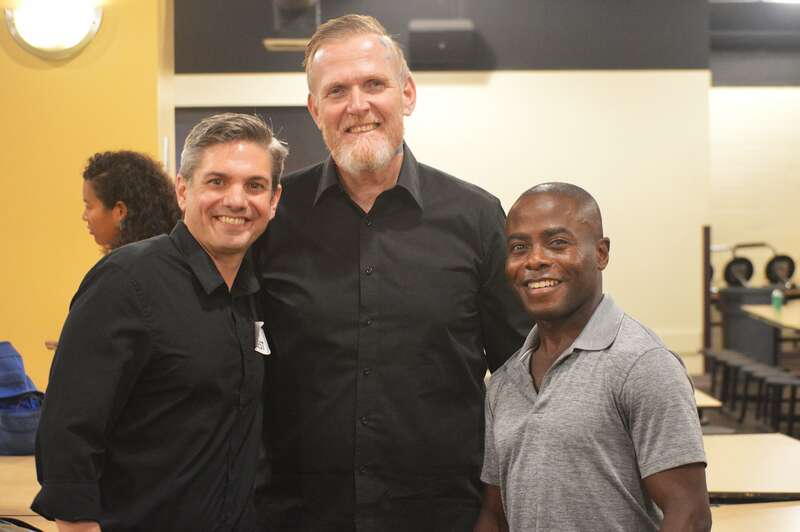 He also serves as an ardent advocate for helping music education reach underserved communities and for addressing issues of diversity, equity, and inclusion in classical music. Anthony, who is the Orchestra’s 2018-19 Shaheen and Anil Nanji Guest Artist-in-Residence, has been recognized as one of the classical music world’s finest solo, chamber and orchestral musicians. Anthony made his New York Philharmonic solo debut in Nielsen’s Clarinet Concerto. The concert marked the end of the performance part of The Nielsen Project, the Philharmonic’s multi-year focus on Carl Nielsen. It also resulted in a stellar body of live recordings that were released in 2015 by DaCapo as a box set. 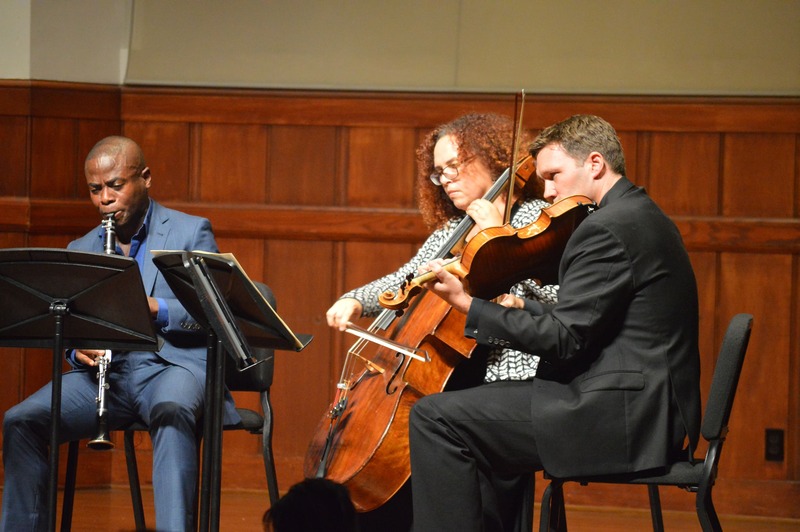 Los Angeles Chamber Orchestra was thrilled to have Anthony McGill as our 2018-19 Shaheen and Anil Nanji Guest Artist-in-Residence this week. 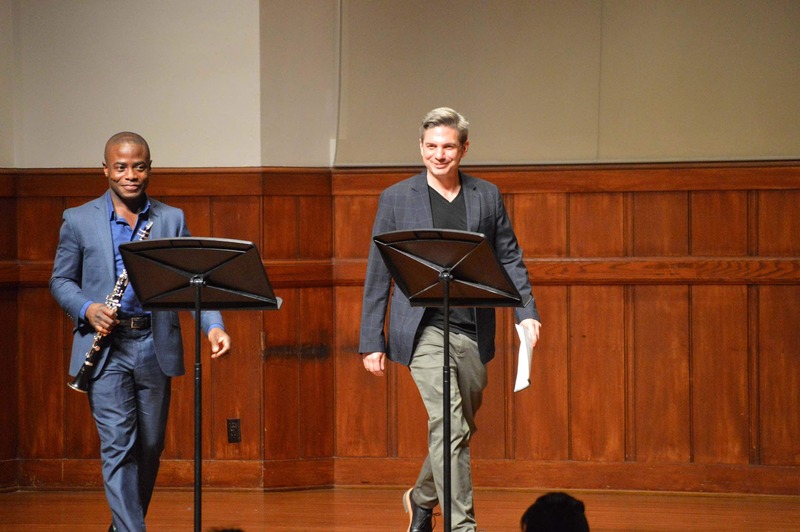 Anthony’s residency kicked off at Alfred Newman Recital Hall with a free community concert, presented by USC Visions and Voices, called Let All Voices Be Heard. He shared the stage with the inaugural class of LA orchestra fellows: Sydney Adedemalo, Ayrton Pisco, Bradley Parrimore, Juan-Salvador Carrasco. Also featured on the program were tenor Todd Strange, of the LA Master Chorale, and LACO musicians Tereza Stanislav, Rob Brophy, Cheryl Norman-Brick and Giovanna Clayton. The program included works by Mozart, Shostakovich, Brahms and Street Symphony composer fellow Ben Shirley. 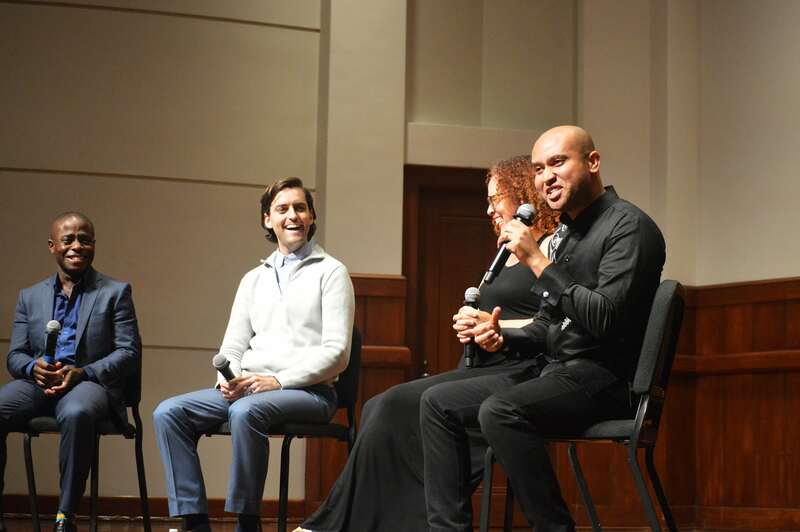 A panel discussion on diversity in the field of classical music, led by composer and LACO artist-educator Derrick Spiva Jr, followed the concert. In a visit to the Midnight Mission, hosted by our partner Street Symphony, the LA orchestra fellows and Anthony gave a joyful performance of the Mozart Clarinet Quintet, but the focus of the program were works by a previous resident of the Mission, composer Ben Shirley. Todd Strange and Anthony performed Ben’s new piece, Brother Burn for tenor and clarinet, with intensity and grit. At an LAUSD masterclass, students from all over Los Angeles came to hear Anthony play and share his journey from the a young musician on the South-Side of Chicago to principal clarinet of the New York Philharmonic. After he spoke, Anthony fielded questions and offered advice, telling students to invest in their music by taking it seriously, practicing hard and believing in themselves. Additionally, Anthony made visits to Ligget Elementary and Manual Arts High School. LACO’s guest artist residency program puts Angelenos front and center for intimate and accessible musical experiences with world class musicians. Programming includes classroom visits with students of all ages, masterclasses with young musicians and performances that serve the diverse communities of Los Angeles. Thank you to Shaheen and Anil Nanji and for your support of Anthony’s inspirational residency. 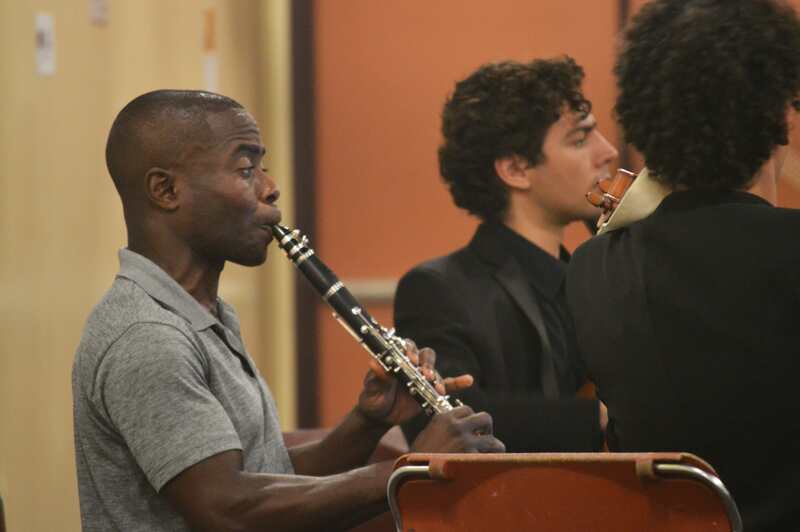 Anthony McGill, 2018-19 Shaheen & Anil Nanji Guest Artist-in-Residence, and LA Orchestra Fellow Juan-Salvador Carrasco performing at the Midnight Mission in Downtown LA's Skid Row. Anthony McGill, 2018-19 Shaheen & Anil Nanji Guest Artist-in-Residence, and Todd Strange, a tenor with the LA Master Chorale, with composer Benjamin Shirley. Benjamin is the first Composer Fellow for Street Symphony, an organization dedicated to engaging underserved communities experiencing homelessness and incarceration in Los Angeles through musical performance and dialogue. 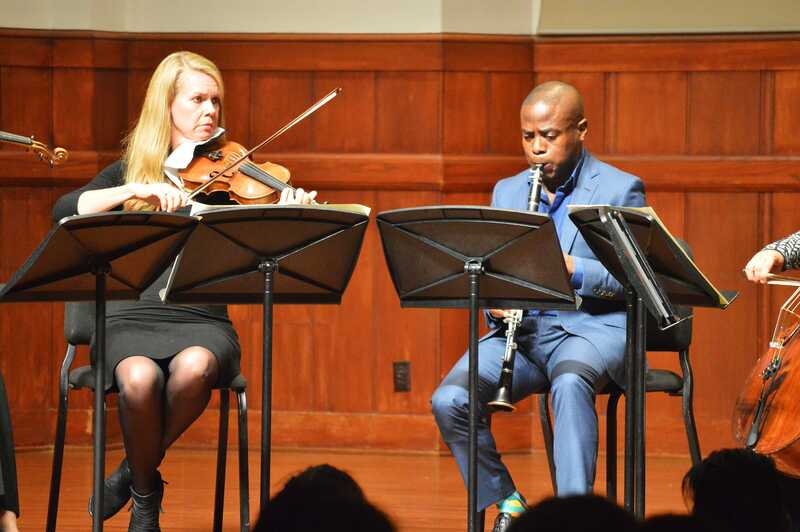 Violin Cheryl Norman-Brick and 2018-19 Shaheen & Anil Nanji Guest Artist-in-Residence Anthony McGill performing Brahms' Clarinet Quintet at Alfred Newman Recital Hall. 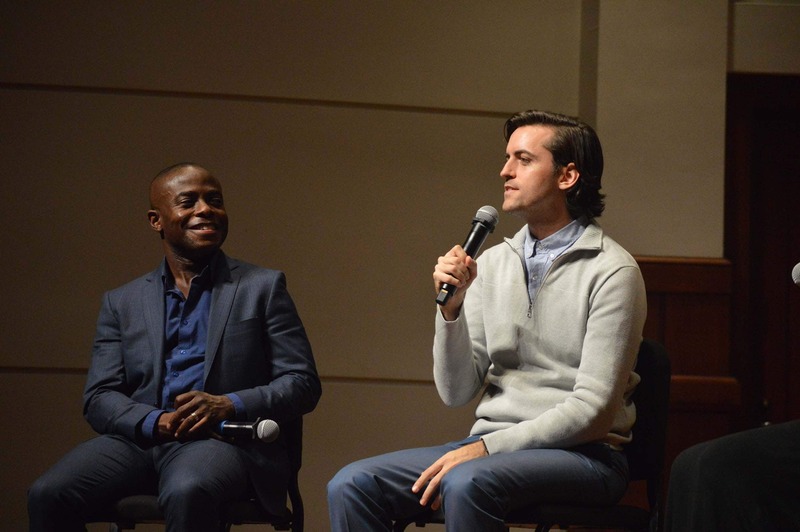 A panel discussion followed the concert and was moderated by Derrick Spiva Jr., Composer, LACO’s artist educator, included Anthony McGill, Giovanna Clayton and composer Juan Pablo Contreras at Alfred Newman Recital Hall. 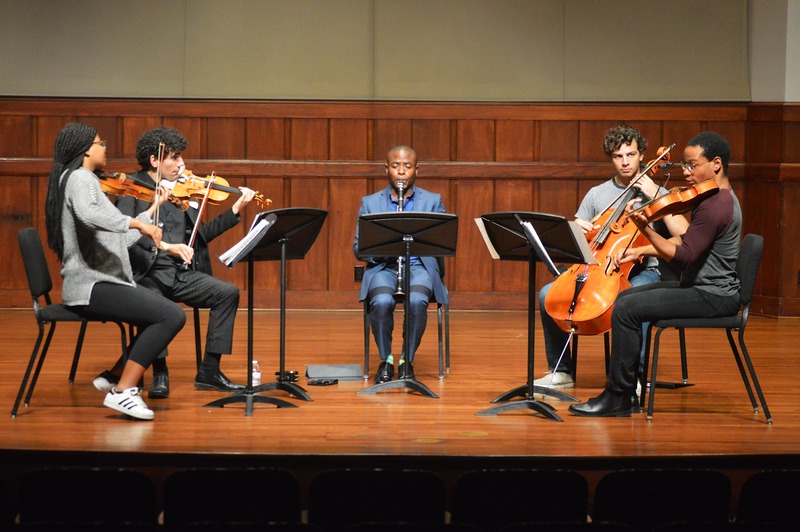 2018-19 Shaheen & Anil Nanji Guest Artist-in-Residence Anthony McGill, LACO cello Giovanna M. Clayton and viola Rob Brophy performing Brahms' Clarinet Quintet at Alfred Newman Recital Hall. 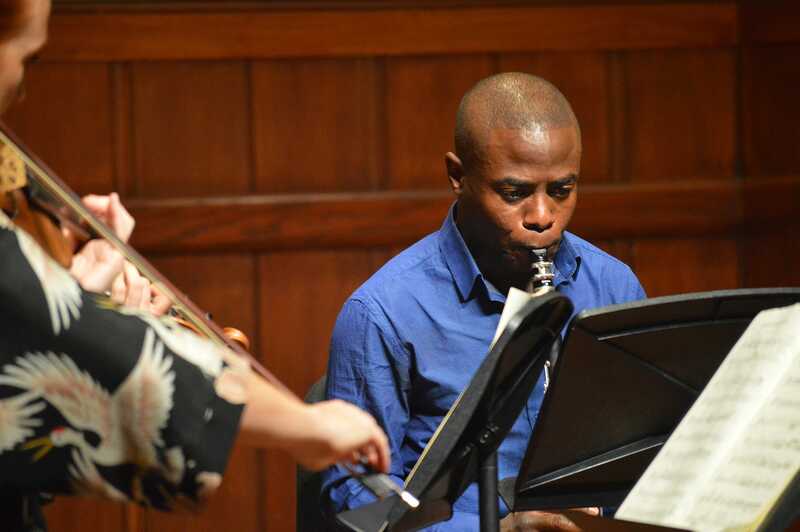 2018-19 Shaheen & Anil Nanji Guest Artist-in-Residence Anthony McGill performing Brahms' Clarinet Quintet at Alfred Newman Recital Hall.